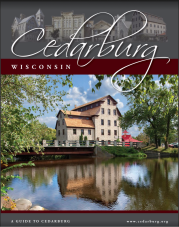 The Cedarburg Education Foundation is a 501(c) 3 non-profit corporation that was created in January of 2006. The CEF is a self-sustaining partner with schools and community, sharing the pride, passion, and excitement of creating educational excellence for our students. The Foundation prudently receives, manages, and invests contributions to achieve the optimum benefit for the children of the community. The CEF provides grants and additional funding for special projects geared toward enhancing academic achievement. Grants support curriculum innovation and the equipment and materials to implement that curriculum, and fund special projects for School District students, teachers, administrators, and staff members.